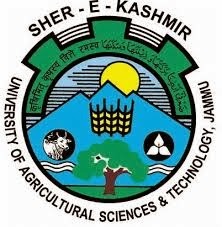 SKUAST Account Assistant Jobs Recruitment 2013 : SKUAST ( Sher-e Kashmir University of Agriculture Science and Technology) of Kashmir is Published Notification for Recruitment of 25 Account Assistant Vacancies. SKUAST Account Assistant Jobs Recruitment Online Applied Last date 16-01-2014. Age Limit : The applied and Interested Candidates Age must be between 18 years to 37 years . Education : The applied Candidates Must Complete Graduate from a Recognized University. with Experience in any Organization. Pay Scale : The Eligible Candidates Can get 5200-20200/-, Pay Scale with Rs.2400/-, Grade per Month. Selection Process: Selection will be basis of Written examination of Interview. Cost of OMR Application Form : Rs.500/-, OMR Form shall be available in the Office of Register, Sher-e Kashmir University of Agriculture Science & Technology Science, Shalimar Campus, Srinagar. How to apply : SKUAST Account Assistant Jobs Recruitment the applied Candidates Submit thier filled OMR Forms with all required documents like educational, age, Experience and more support document are attested and should be sent to the Office of Register, Sher-e Kashmir University of Agriculture Sciences& Technology of Kashmir.